BitSummit this weekend will show off the biggest indie games from both Japan and around the world, and Nintendo wants to show itself off as a friend to the indie market. Now that the Vita is slowing down, the Switch remains the sole portable console that you can play these indie titles on. A sizzle reel from Nintendo highlights the biggest titles coming to its platform, and the most notable of the bunch is none other than Owlboy. The beautiful platformer released last year to rounds of applause after being in development for over a decade, and Switch owners have the benefit of playing it wherever they want. Owlboy flaps in at the 6:30 mark. Other indie titles in the reel include Mighty Gunvolt Burst, YIIK, RiME, Overcooked: Special Edition and Hollow Knight. It's weird, but normally I reserve such statements for niche JRPGs and the like, not an indie game developed in Norway and already actively available in North America on other platforms. 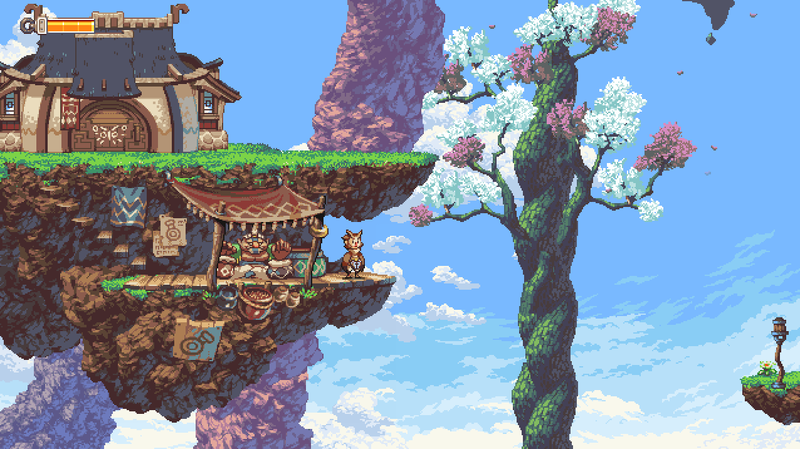 But I take it that because this is a Japanese trailer, we can't confirm yet that Owlboy will be coming to the States on the Switch. …but it's pretty likely to happen. We'll keep an eye out for the announcement.